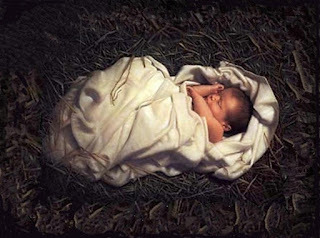 The Baby Jesus was born day some 2,000 years ago. And ever since, we have been preparing for his return. He shall come again--for he said he would. In the meantime, we must to prepare for him, just as we prepared for Christmas. Mary and Joseph prepared for him. For an angel from God spoke to them both separately telling them about the coming child, who was to be the Messiah. Sometimes God speaks directly (in a vision or a dream)--if we we are sensitive enough to hear. Do you walk humbly and obediently with God every day, like Mary and Joseph, so your ears are tuned in to hear and obey God’s voice when he speaks? Do you know Him so you will know when He speaks? The Wisemen also received a sign, but it was more subtle. They saw star in eastern sky. There are millions of stars in the sky. Why did this one start get there attention? Sure, it was brighter than the rest, but how did they see that star and decide it was special when everyone else paid no attention? The Jewish religious leaders in Bethlehem saw the same star hovering over Bethlehem and paid no attention. They were so wrapped up in their own ambitions and the political intrigue of Jerusalem they missed God’s sign, at least until the Wisemen came asking questions that turn their world upside down. Then they searched their own Scriptures and found the Messiah was to be born in Bethlehem. Are you so wrapped up in your own plans and aspirations that you are missing God’s signs pointing you to a better life? Maybe it’s time to slow down, refocus, search the Scriptures, and see what God is trying to tell you? The Shepherds also received a sign--a dramatic and frightening sign. An army of angels filled up the night sky singing and praising God and announcing the Messiah’s birth. Sometimes God signs are big and bold and impossible to miss. God wants everyone to know the Good News about Jesus--even lowly shepherds--and He certainly wants you to know about Jesus. But you must have the courage to listen and obey or it’s all for nothing. Do you have the courage to listen and obey God? 36 Anna, a prophet, was also there in the Temple. She was the daughter of Phanuel from the tribe of Asher, and she was very old. Her husband died when they had been married only seven years. 37 Then she lived as a widow to the age of eighty-four. She never left the Temple but stayed there day and night, worshiping God with fasting and prayer.38 She came along just as Simeon was talking with Mary and Joseph, and she began praising God. She talked about the child to everyone who had been waiting expectantly for God to rescue Jerusalem. Here we have two VIPs in the Christmas story who tell Mary and Joseph and everyone willing to hear (including us) that Jesus is a very special child. Jesus is the Messiah, the one God chose to save the Jewish people (and the whole world). Jesus will turn the whole order of the way the world works upside down. He will humble the rich and powerful who do not care about God and exalt the poor and lowly who faithfully trust in Jesus. In the process, Jesus will reveal the Truth about who is on God’s side and who is not. Simeon was righteous and also devout. He was devoted to the worship and service of God. While most people in the world are wrapped up in their own dreams and ambitions, there are a few devout people like Simeon who are totally focused on God. These are people you should listen to. Simeon was righteous and devout and lead by the Holy Spirit and he told Mary and Joseph (and, through the Bible, the whole world) about Jesus. There was also Anna, who was a prophet. A prophet (contrary to popular belief) is not someone who tells the future. A prophet is someone who speaks God’s words. Like Simeon, Anna was devoted to God. She was very old and had spent almost all her life in the Temple, fasting and praying. We should listen to devoted people like Anna, who speak the Word of God. Who Speaks God’s Wisdom to You Today? There are people like Anna and Simeon in our world today. People who are righteous (who live right and moral lives--but even more important--who trust God). People who are devoted--not to their own dreams and aspirations, but--to God. People who’ve gained wisdom through the Holy Spirit who lives in them. Listen to them. Seek their advice. If you believe God is speaking to you, wants something from you, has given you a sign, or is leading you, consult with someone who can give you good advice. Perhaps it is a Christian minister. I have had many preachers who spoke the Word of God to me and changed my life. There was Jack Gillespie and Bob Beckwith who were talented preachers whose inspiring sermons helped me hear God's call to be a preacher myself. Then there was Charlie Green, who was a pastor with the spiritual gift of caring who nutured me as I answered my call to the ministry. There are many different kinds of ministers with all kinds of gifts. Some are excellent preachers. Some are excellent pastors. Some are excellent administrators. Some are excellent counselors. No one person can be exceptionally gifted in all areas. Don't expect your minister to be all things. But perhaps you might find help in knowing God's will for you though a Christian minister. We also have our Christian elders. I think of my own Grandma, who when I was only a young boy took my and and looked me in the eye and said, "Chris, one day you're going to be a preacher." I thought, "No way. You don't know what your talking about. That's not part of my plans or even on my mind." Looking back now after 30 years, I see Grandma was not delusional old lady. No, she was righteous and devout and filled with the Holy Spirit and I should have listened to her more while she was alive. Who are the elders in your life you should listen to who could be the voice of God to you? Or perhaps you have a good friend who is firm in the faith who can speak GOd's word to you. And most importantly, let's not forget the Church--the collective voice of God’s people, chosen by Jesus to be his representative in the world. The Church is an invaluable source in revealing God's plan for you and the whole world. The Church gets a bad wrap these days. So many times have I heard someone say, "I just don't like organized religion." I wonder have they considered the alternative? If there's no organized religion, all we have left is a bunch of people running around thinking and doing whatever they like. We had a time like that before in our history. You can read about it in y the Bible in the book of Judges. It was a time when "...all the people did whatever seemed right in their own eyes." (Judges 17:6) it was a dark, chaotic, evil time and many, many people suffered. I don't want to go back to that kind of living. So I'm glad we have the Church to be the voice of God to us. I know the church has made mistakes in the past and will make mistakes in the future. We are not perfect. However, when we seek the will of God collectively, we get it right more often together than we do as individuals. This Christmas, God is speaking to all of us. He has given us a sign--a baby born in a manger to save the world. An angel spoke to Mary and Joseph. The shepherds saw an army of angels announce his birth. The Wisemen followed a star. Simeon and Anna--filled with the Spirit and wisdom--both spoke of Jesus’ importance to the world. "Turn from your sin and turn to me. You will find no peace, no hope, no joy, no love until you do. to death, despair, destruction, and eternal punishment. And even more, you will have eternal life." Hear the Word of the Lord and obey.